Bulgaria is a land filled with history and is the third archaeological rich country following Greece and Italy. The capital city, Sofia was founded 7000B.C by the Thracian tribes and was ruled and occupied by many different superpowers, such as the Romans and the Ottomans. Today, Sofia is a modern city but the history of this place could be seen everywhere, from the ground floor of a hotel to the subway stations. We were originally here in Bulgaria to see the famous abandoned communist monument, Buzludzha, but local authorities closed off the secret entrance only days before we came to Bulgaria. We still had an excellent time exploring the history rich capital city of Sofia. 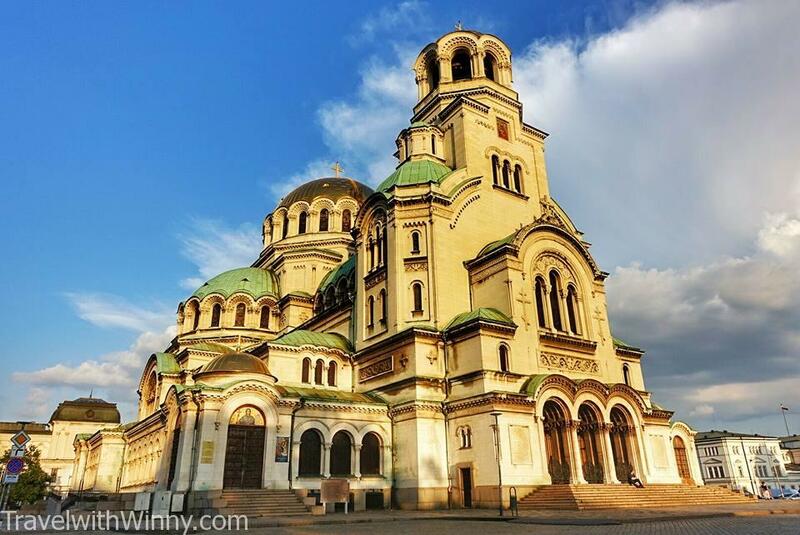 Here are the top 10 interesting facts we found about Sofia and Bulgaria. During the first century, Romans Empire expanded and occupied the area of modern day Bulgaria. 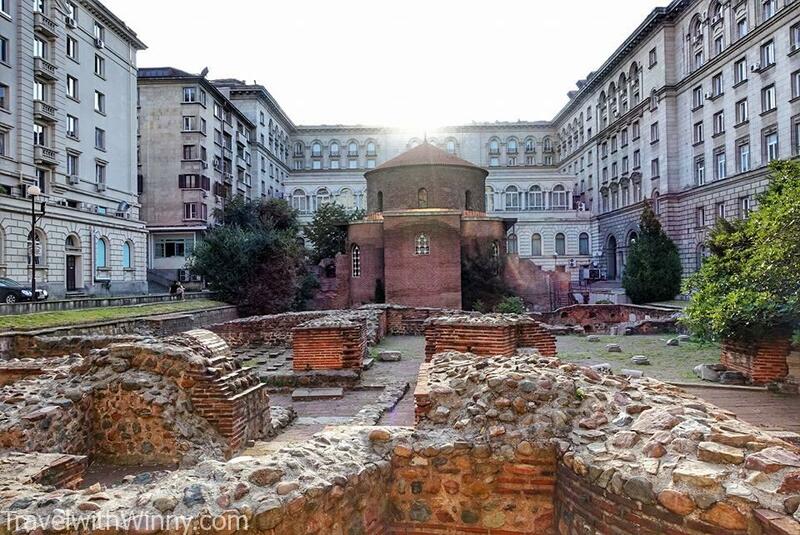 Under the Roman rule, Serdica, which is modern day Sofia, became the most important Roman city in the region. Today, so much Roman ruins are found in this major city. 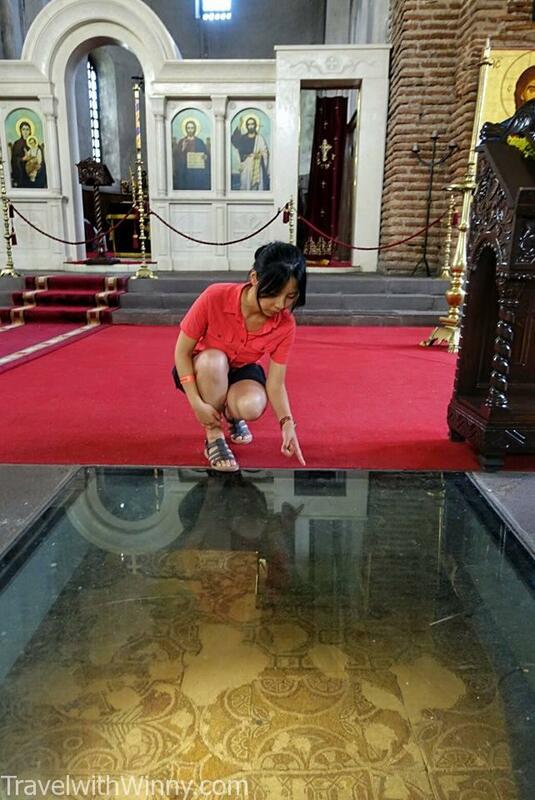 When you walk into Saint Sofia Church, you could see the old Roman theatre through the glass windows on the floor. 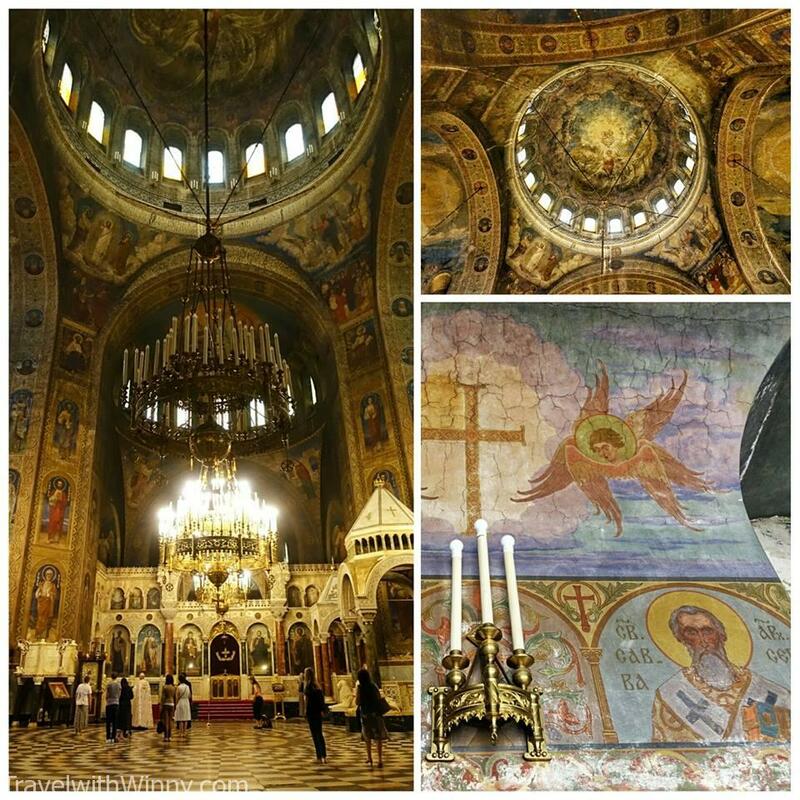 Saint Sofia Church is very simply built on the inside and outside. It doesn’t even have a church bell. Who would have guessed that it is built on top of a beautiful Roman theatre? However, Bulgarians, in general, doesn’t have a good concept of protecting these valuable archaeological sites. 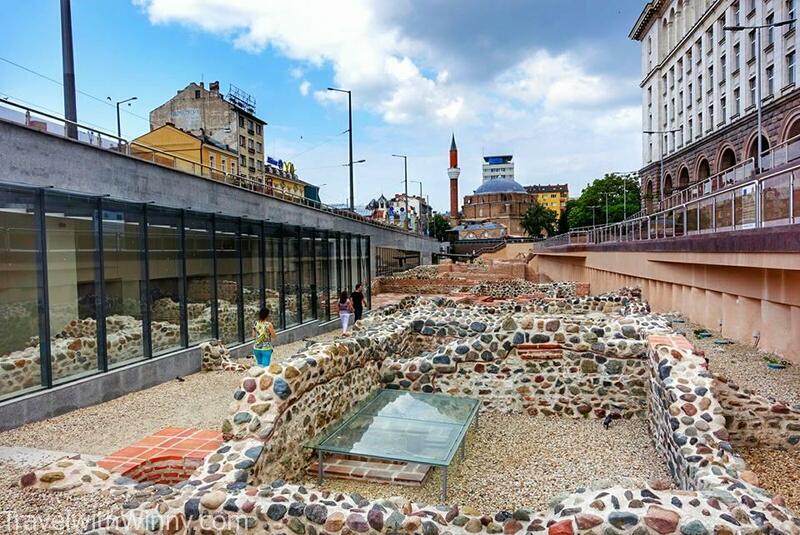 In 2004 a corporate bought a piece of land in Sofia to build a hotel and when they were digging down for the foundations for the hotel, they found the Amphitheatre of Serdica, which is a huge structure only 10 meters shorter in diameter than the Colosseum in Rome. Unfortunately, the corporate or the government didn’t stop the construction of this hotel to protect this extremely valuable archaeological site. Today we could only see a small part of this Amphitheater under the Arena di Serdica Residence Hotel. We simply could not imagine how much history is buried under this city. There are three glass window floors in the Saint Sofia church which allows you to see the Roman theatre below. A capital city with a large population requires reliable transportation systems. On the surface, Sofia has many bus and tram services but underneath, the city only has two Subway lines. The first subway station took 30 years to build with the beginning of construction starting in 1960 and finishing in 1990. This is because, every meter they dug, they found more and more archaeological sites ranging from the era of Thracians to the Romans. They even found thermal water. Bulgaria’s most famous Metro station, Serdika Metro. the place is full of Roman ruins. This first station is the Serdika Metro Station and here you could find many of these Roman buildings merging with the modern structures. 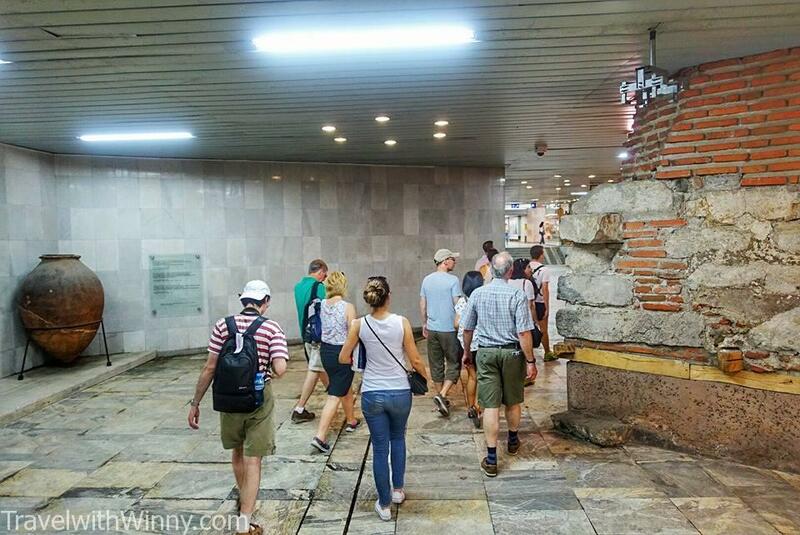 The Roman walls are so well built that they are utilized to hold up the upper floors in the metro stations. There are so many other archaeological significant items placed on public view in the underground walkway. Just outside the subway station, there is a huge area of Roman buildings that are excavated and are free to walk around. 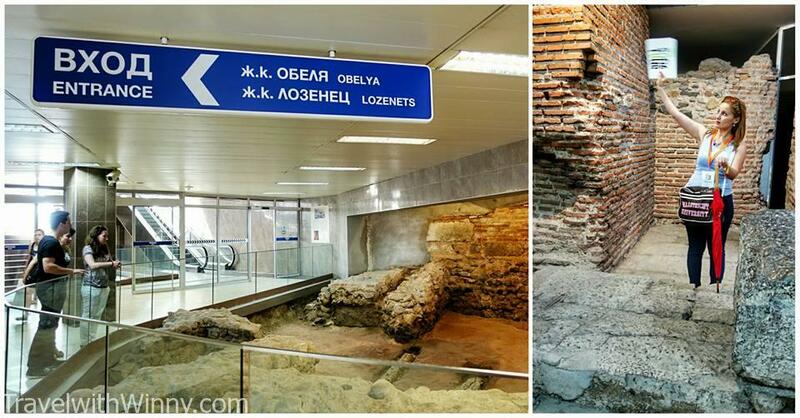 In Serdika Metro Station, they use the Roman Ruins as walls and pillars to hold the upper floors. On the Bulgarian post cards, you would commonly see the extremely beautiful Alexander Nevsky Cathedral. 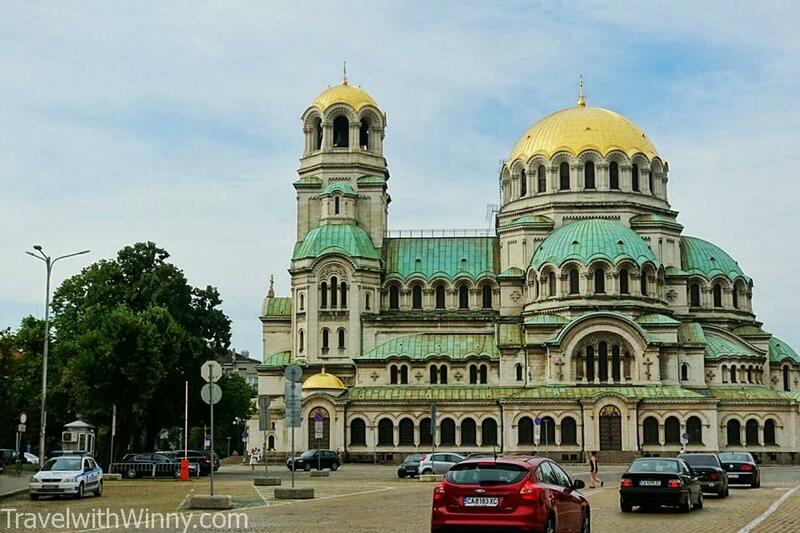 It is one of the largest Orthodox cathedrals in the world and was built between 1904 to 1912 to honour the Russian soldiers who died to liberate Bulgaria from the Ottoman Rule. The design of this Cathedral is extremely sophisticated and many of its domes are gold plated. The restoration of the gold plated domes on Alexander Nevsky Cathedral were only completed recently. They look outstanding from afar. 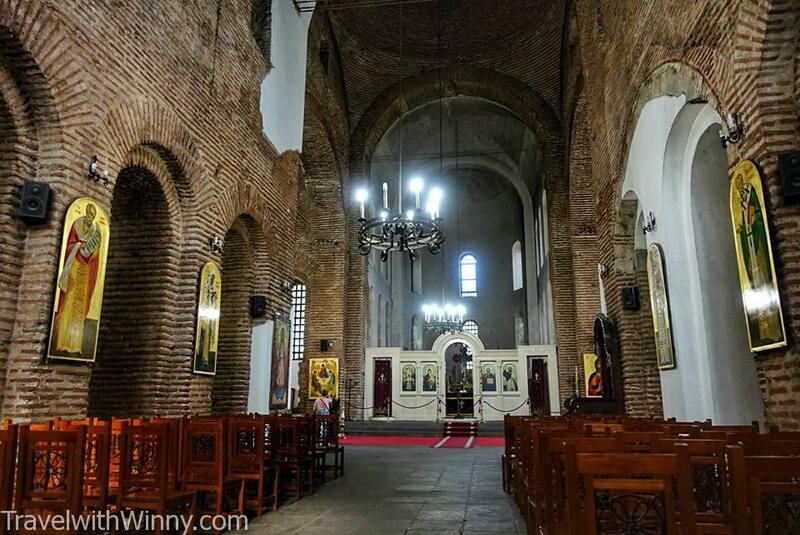 It remained as the biggest church on the Balkan until Serbians completed the Church of Saint Sava. The entrance to the Cathedral is free but they charge 10 LV (USD $5.60) for taking photographs. Luckily I took some photos before I was told by the security guard. Another interesting fact is that an ordinary beggar in Sofia collected and donated € 20000 to the restoration of the Cathedral’s dome. We personally thought he should have donated to a better cause with that money. The pictures in the Cathedral are extremely beautiful but some of the colours have faded through time. No. 4 Bulgarians were allies with Nazi Germany but saved 48,000 Jewish citizens. During WWII, when Bulgaria was forced into the war they chose to be Allies with the Axis. Because of this alliance, the Bulgarians were required to send the Jews to the concentration camps. However thanks to the help from the monarch, Tsar Boris III and the Bulgarian Church, the Jewish people were saved from being deported to the death camps. There were even widespread protests against the deportations, including petitions to the government in Sofia. After WWII, the communist party built around churches like this to hide them from plain view. In the end, the German requests for the 48000 Bulgarian Jews to be deported to concentration camps were not complied with. Later Bulgaria was officially thanked by Israel for the defiance against Germany. 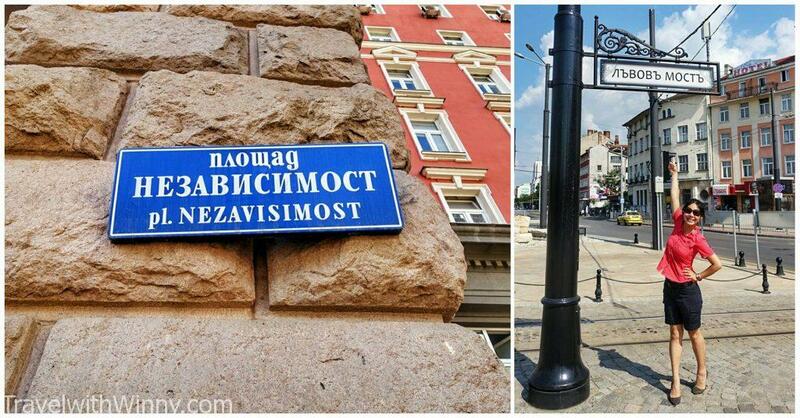 However Bulgarian authorities did not offer protection to Jews who were not Bulgarian residing in Bulgaria, including those who had fled there from Nazi occupied regions. Unfortunately, these Jews were deported by the Bulgarian government. No.5 The last monarch exiled by the communist became the prime minister 50 years later. Interesting politics! When Tsar Boris III mysteriously died after having a meeting with Hitler in 1943, his son Simeon Borisov Saxe-Coburg-Gotha came to the throne. After the WWII, a referendum was held with the presence of the communist Russian army which resulted in Simeon to be exiled to Egypt. Many buildings, including the Parliament house are built in during the communist period. They are big, functional and meant to last forever. Later Simeon became a business man in Spain and was granted a Bulgarian passport after the fall of communism in 1990. He returned in the year 1996 and became Prime Minister in 2001. However, Simeon did not live up to the promises he made and spent more of his time claiming back the estates that were lost to him. In the next election in 2005, due to low popularity, Simeon unexpectedly took part in a coalition government with the ex-communist government. Many Bulgarians thought it was shameful for Simeon to team up with the communist party which exiled him 50 years ago. No. 6 Bulgarians use the Cyrillic alphabets. Bulgarian is a language which uses the Cyrillic alphabet and is a language system completely foreign to us. In previous countries, we may be able to guess meanings from certain words but it is impossible to do so with words spelt out in Cyrillic alphabet! Inconveniently, most of the street signs and menus on the walls are printed only in Bulgarian. Fortunately, most Bulgarians are friendly are fluent in English so we get plenty of help when we are stuck. We could also instantly translate the language with google translate app on the phone. Some Cyrillic alphabets signs. It’s extremely hard to recognize roads here! In a family fridge in Bulgaria, you must have had the Bulgarian Yogurt. It is one of the most commonly eaten food in Bulgaria and studies have shown that it has the potential to increase your life span. Bulgaria is the third country in the world with people living past the age of 100 and all of these people eat the Bulgarian Yogurt. 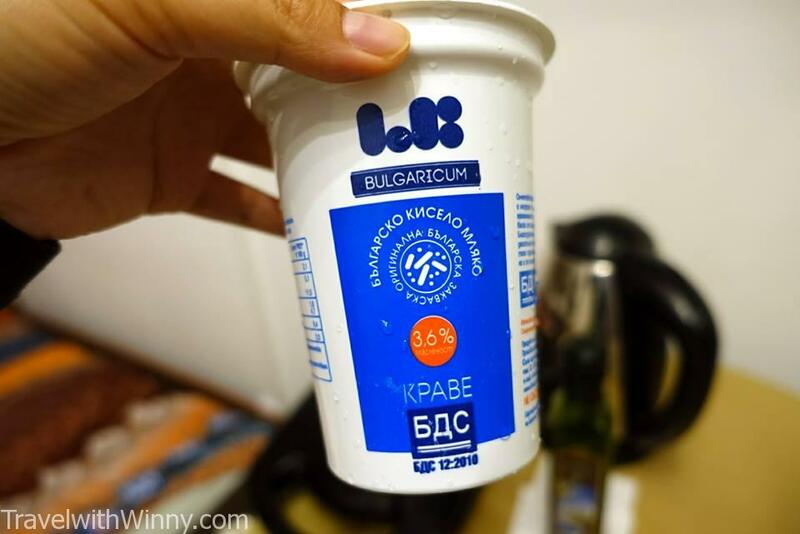 What is so special about this yoghurt is that it contains a bacteria called Bulgaricus which only exists and survives in Bulgaria. This bacteria is only successfully grown with special technology in Japan. 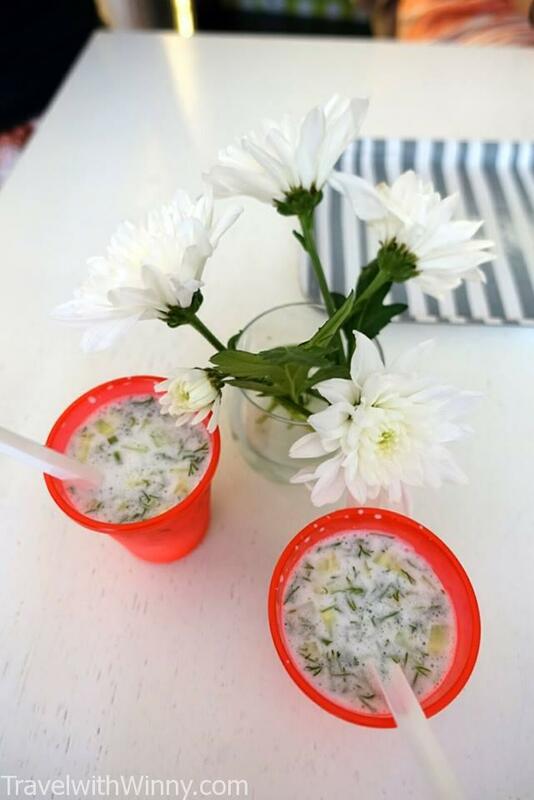 Bulgarian also commonly make a cold soup with this yoghurt called Tarator. During our Food Tour with Bulkan Bites, we were given the chance to try this soup. Tarator, a cold Bulgarian soup that contains the Bulgarian yoghurt. No. 8 Bulgarians love to drink soup! Bulgarians really loves soups and you can find many small stores in the streets selling soups. The first store in Sofia selling soup is called Supa Star. In this store, they make up to 6 different soup a day costing around USD$2 per bowl of soup. They have cold soup and hot soup varieties and each soup are extremely hearty and full of ingredients. Although the menu in the store is only in Bulgarians, the staff are all fluent in English and are happy to explain the ingredients in the soup. Bulgarian people love drinking soup. 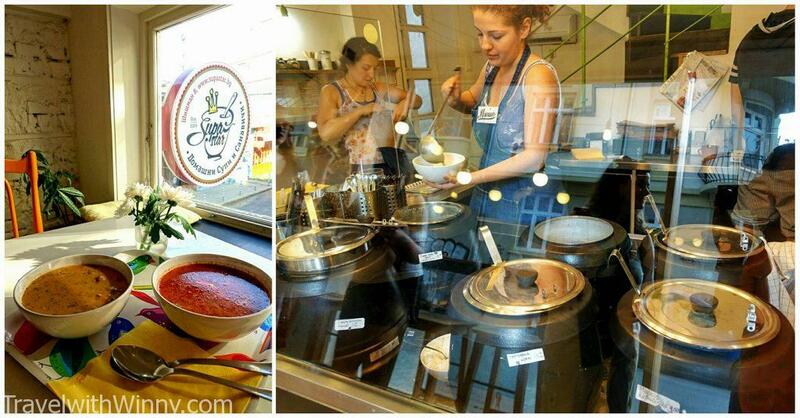 This shop called Supa star cooks 6 different types of soup daily. No. 9 Sofia has many thermal water springs but are they are not well utilized. Bulgaria has many thermal water springs and are made into thermal baths during the Ottoman Empire rule. However in Sofia today, there are no thermal spas near the city. The closest thermal spas are built in a town close by that is only accessible by bus or car. 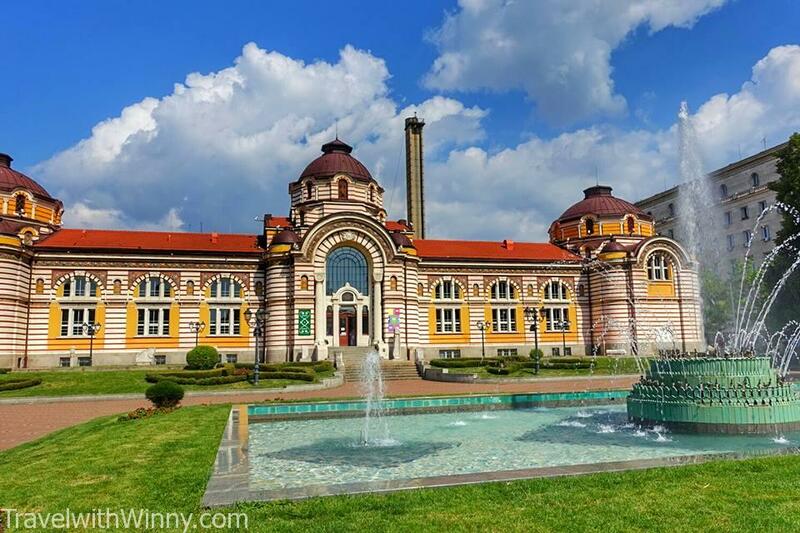 There used to be a thermal spa bath in Sofia called Sofia Central Mineral Baths built in the 16th century. However, this bath was closed in 1986 and converted into a Museum, Sofia History Museum. Bulgaria has many thermal springs. This building used to be a thermal spa bath but now it’s used as a museum. The valuable thermal water is now used as free drinking water supplied through two fountains on the outside of the museum. 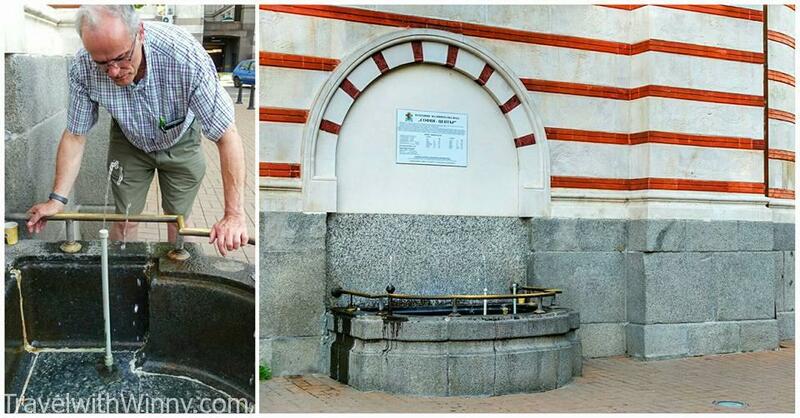 Locals in Sofia often come here to fill their water bottles with this thermal water as it has good minerals that is beneficial to the body. The thermal water now comes out of drinking fountain outside the Museum. The water is warm has a little bit of sulfur taste but is safe to drink. No. 10 There are free food, hiking, biking and walking tours available in Sofia. 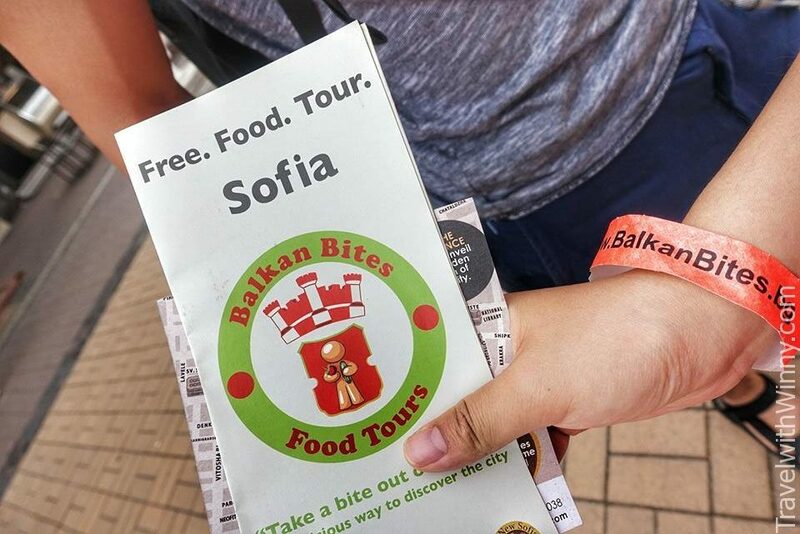 I know free walking tours are not a surprise to most people now but many people are not aware that there are free food, biking and hiking tours in Sofia! As Bulgaria is only more known to the western world in recent years, Bulgarian cuisine is quite infamous. Balkan Bites is a free walking tour that we joined which took us to 5 different stores and restaurants to teach us about the uniqueness of Bulgarian food. When we were in Sofia we were interested to climb the Vithosha mountain which is known to be extremely beautiful. If we were to do the hike we would have joined the free hiking tour with Sofia Green Tour. 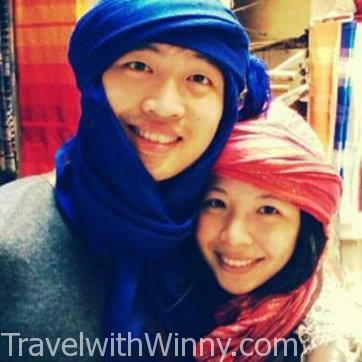 The only tour expense is to pay for your the Taxi which is around 10Euro shared among 2-4 people. 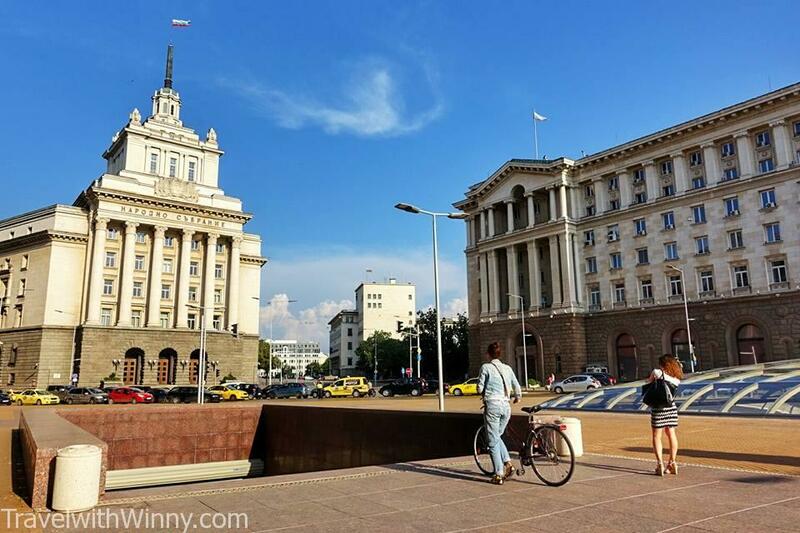 Finally, if you want to see a bit more of Sofia than just with your own two feet, you could also join the Free bike tour with Sofia Green Tour as well. However, with this tour, you need a bike. Otherwise, you could the tour guide can take you to a bike hiring place for 10LV (5 Euro).